Turning your backyard into something magical is not as difficult as it may seem, it's not even costly, too. This design as shown above is one great example. The wooden canopy could just be a weekend DIY project. An old set of furniture under the canopy would do. This plus some good potted plants and solar lights would instantly transform your backyard into a wonderful view. 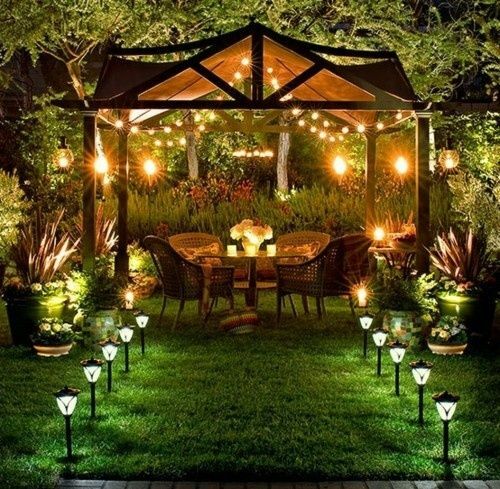 Add some string lights and you are set to go for that romantic date or to a weekend get away with friends. To complete the relaxing mood, you can even opt to use an audio technica. That would be perfect, isn't it?